Estudio 3.14 brings to life the US presidential candidate’s tyranny. 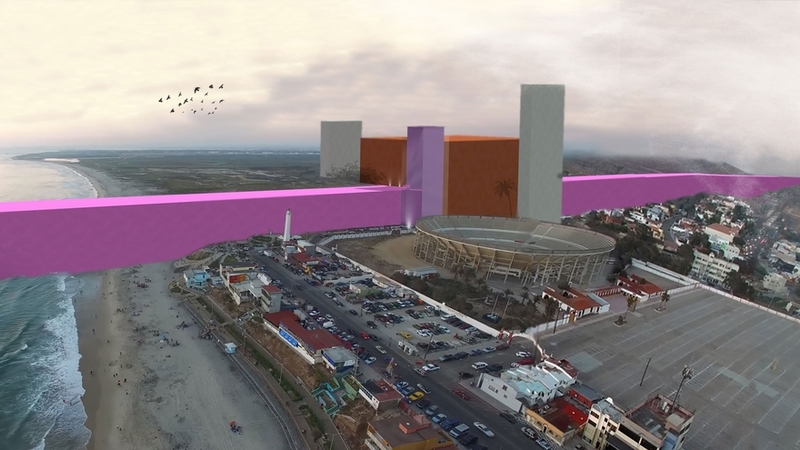 One of the most controversial aspects of Donald Trump’s presidential campaign has been his proposal to build a wall separating the borders of the United States and Mexico. Since the Republican nominee began espousing his ludicrous scheme, many experts and public figures have come out against it, some dismissing its feasibility altogether. 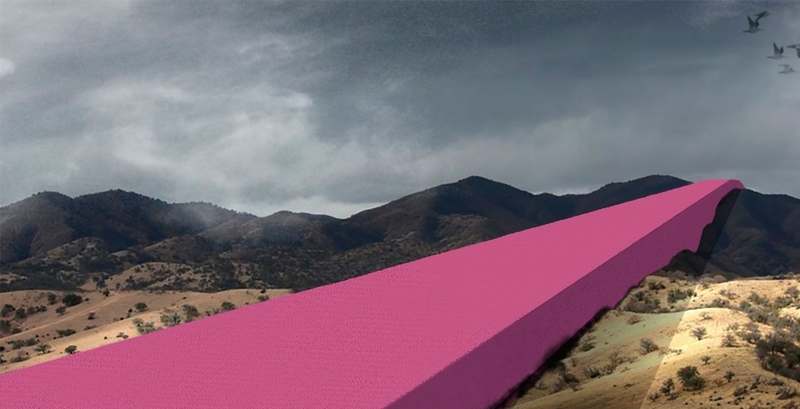 However, few have done so as effectively as Estudio 3.14 whose imagining of the proposed barrier excellently illustrates its impracticality and ridiculousness. 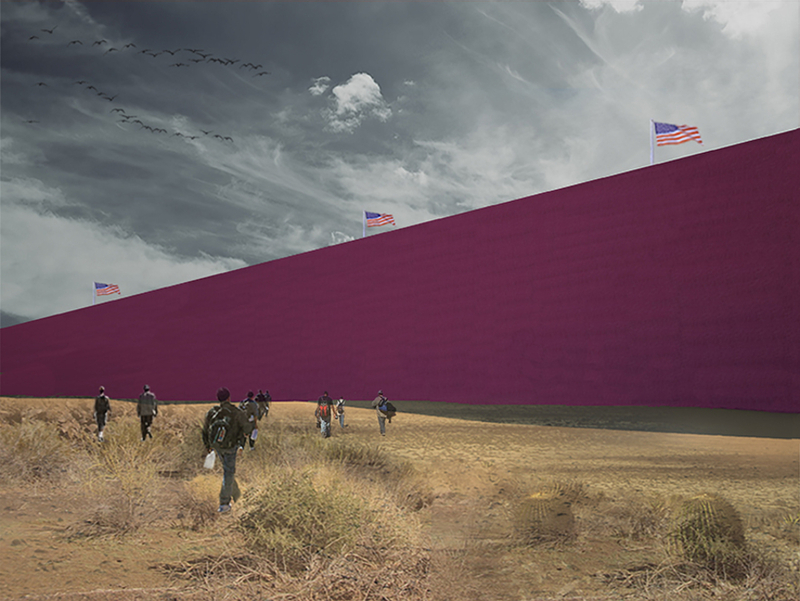 In collaboration with the Mamertime Corporation of the United States, the Guadalajara, Mexico-based design studio visualised and designed a rendering of the wall proposed by Trump. 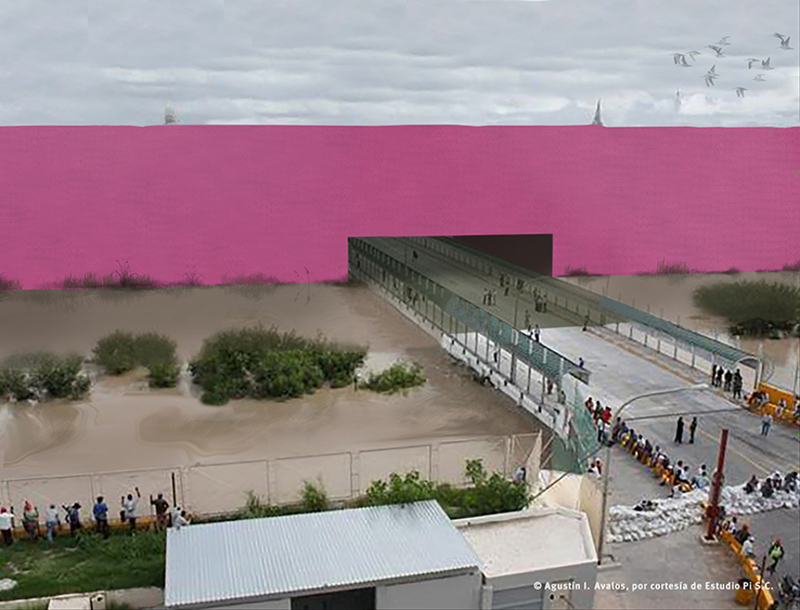 Hot pink in colour – a reference to famed Mexican architect Luis Barragán, as well as Trump’s claims that his wall will be ‘beautiful’ – their interpretation includes visuals of the structure going through different border landscapes and bodies of water as a way of highlighting its logistical impossibility. Serving as something of a commentary on the relationship between the field of architecture and political perversity/megalomania, the Estudio 3.14 team is conscious of the fact that their discipline has often served as the enabler for some of history's most macabre ideas. 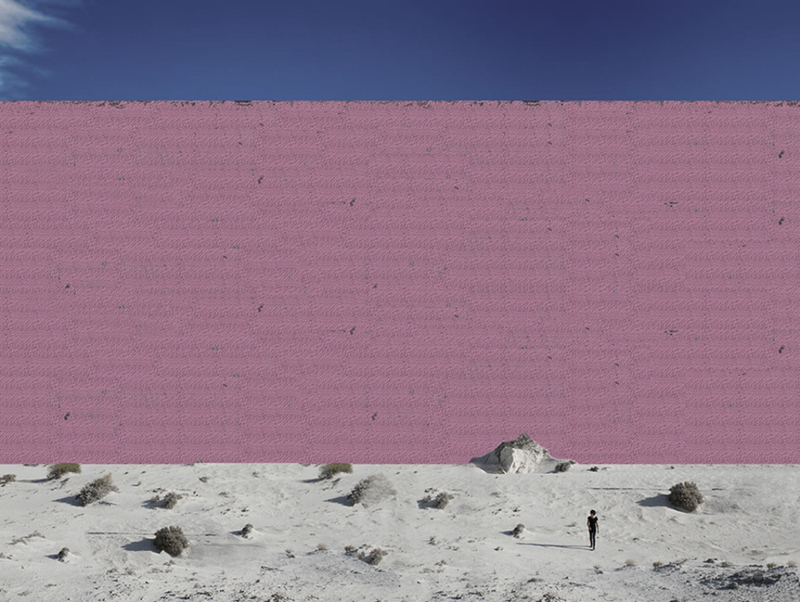 After all, Trump’s wall likely wouldn’t just be a wall – it could also be a prison; one in which 11 million undocumented people would be processed, classified, indoctrinated, and/or deported. Much of the US/Mexico border runs through public land held by national parks and the Colorado and Rio Grande rivers experience a significant seasonal ebb and flow. 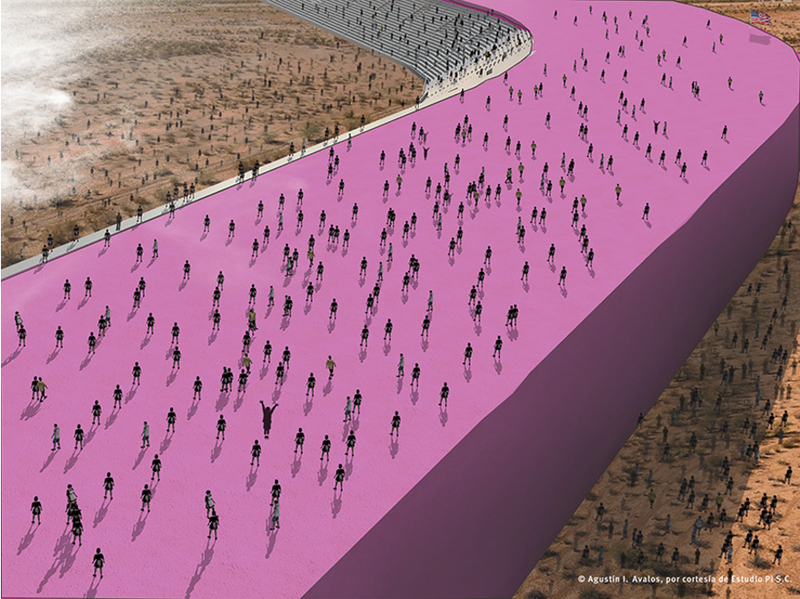 Estudio 3.14’s design aims to make these and other impediments starkly visible, adding to the ecological, environmental, political and social case against Trump’s plan.